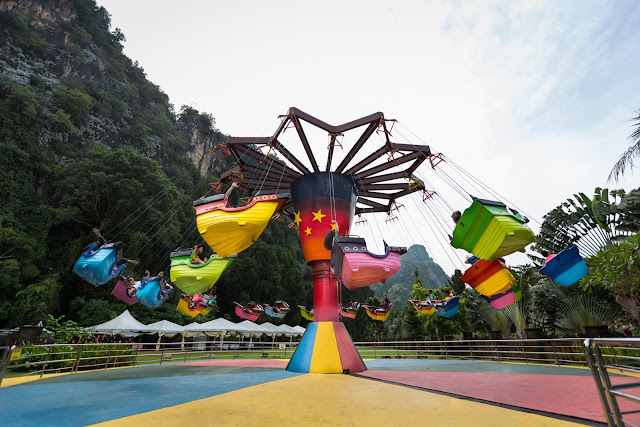 Lost World of Tambun is much more than just a water theme park, there are also many fun rides here which you can go on over and over again (yup, it's included in your ticket price) at Lost World Amusement Park. My personal favorite ride here is the Dragon Flights, which is also known as swing ride, swing carousel or chair swing ride, whereby chairs are suspended from the rotating top of the carousel. Thrilling! Plus you get a very good aerial view of the park once you're high up in the air. Kids can go on this ride if they pass the height requirement. Right next to the Dragon Flights is Giddy Galleon, another version of carousel with mini boats as seats, also suspended from the top of the carousel. This ride will also lift you up into the air and go round and round. Hop aboard the Storm Rider, a pirate ship and sit tight as the ship swings 180 degrees. Perak’s first-ever roller coaster, Lupe's Adventure will take its passengers through some tight turns and quick dives. It is suitable for young children; our kids like it a lot and once they went on it 5 times in a row! Going on this ride also gives you a good view of the water theme park. Perak Parade is a merry-go-round featuring miniature trains and horses, perfect for the young ones! If you like getting spooked, then the Haunted Chambers is the place for you, with its seven chambers of horror. Some of the new additions to the Lost World Amusement Park are the carnival game stalls, whereby you can try your hand in some games and try to win some prizes (pay per game). Finally, there is the Adventure Express, a locomotive on wheels which will take you and your family on a journey through all the attractions at Lost World of Tambun. A good way of getting a quick tour of the place. 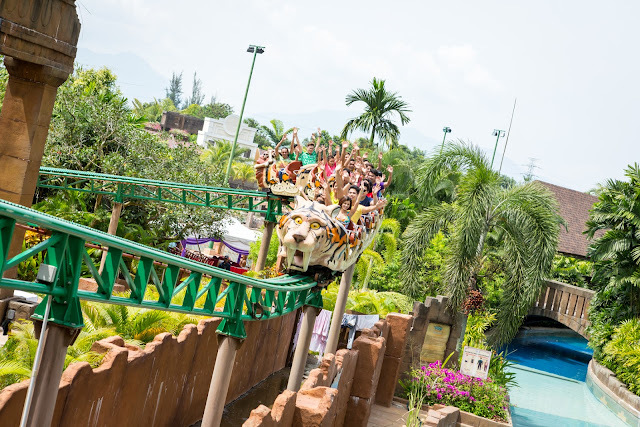 Lost World of Tambun is open on weekdays from 11am to 6pm; weekends, Public Holidays and School Holidays from 10am to 6pm. Closed every Tuesday except during PH and SH.